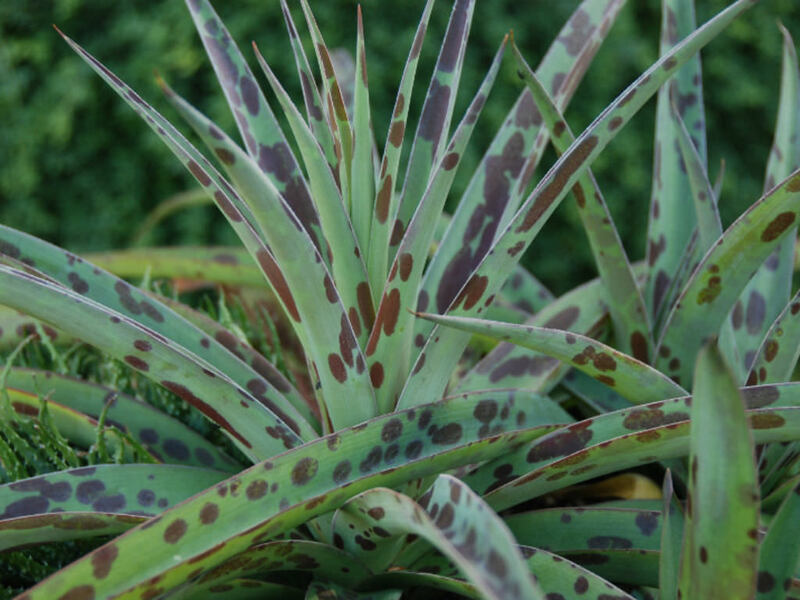 Manfreda maculosa is a particularly nice and robust form of this deciduous succulent perennial. 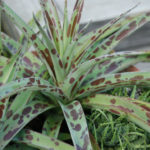 It grows nearly flat to the ground, forming a rosette of fleshy, narrow one foot (30 cm) long, soft sword-shaped dull-green leaves that are heavily marked with round reddish-purple to dark brown spots. 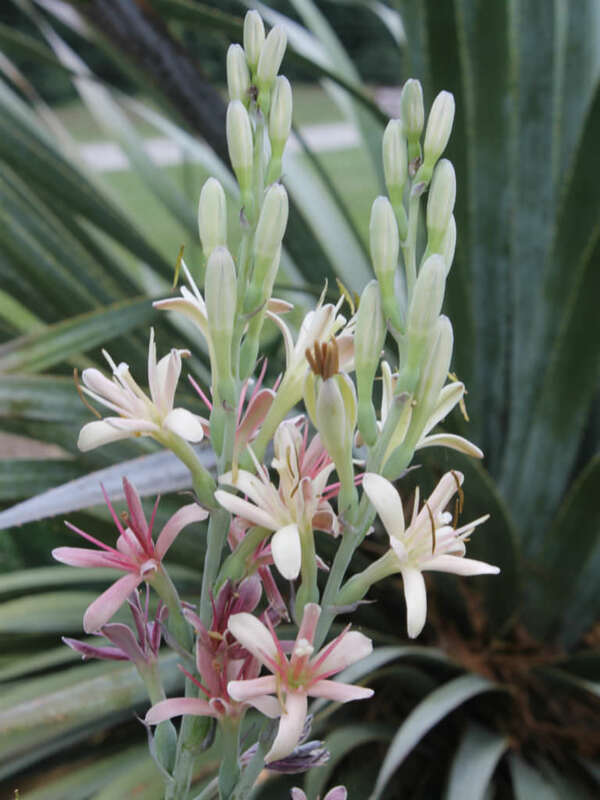 In the spring appear long spikes, up to 6 feet (1.8 m) tall, bearing mildly fragrant up to 2 inches (5 cm) cream to greenish-white flowers that age to a rose pink. The flowers open and change colors over 3 to 4 days of life. 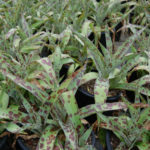 In summer when the plants are actively growing, they appreciate a bit of supplemental watering and half-strength fertilizer. 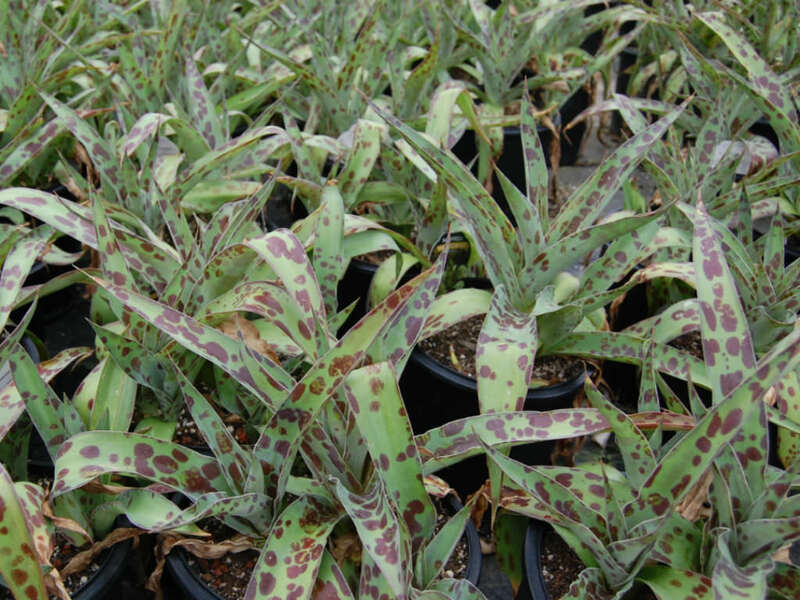 During the winter months, the plants should be allowed to dry and should be stored in a cold room at 48°F (9° C). 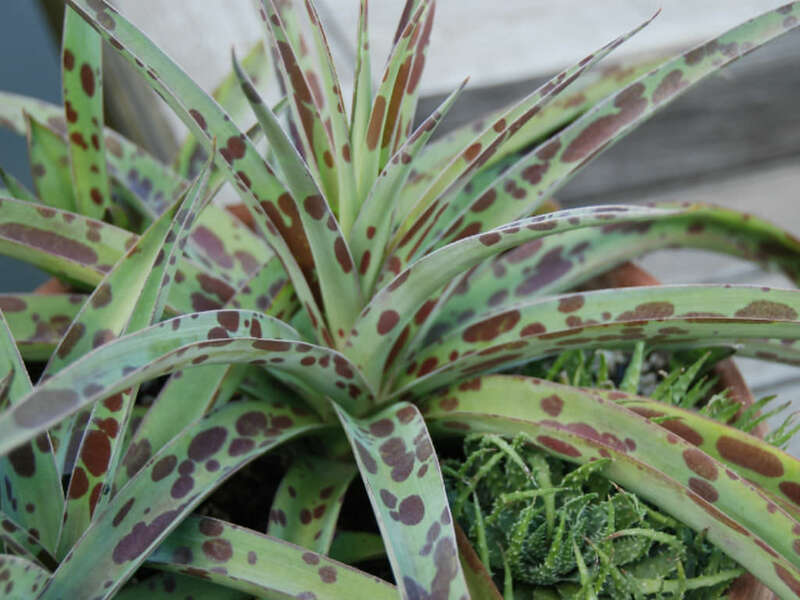 Plants are watered only enough to keep the foliage from shriveling. Manfredas are propagated by the removal of offsets and from fresh seed. Fresh seed germinate in 7- 21 days at 68 to 72 °F (19 to 22 °C)… – See more at: How to Grow and Care for Manfreda. 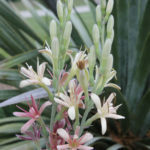 Endemic to southern Texas and northeastern Mexico.